also view official notification and other important facts about this recruitment e.g. Important links and Important dates.vacancies. Those Candidates who are interested in the vacancy details & completed all eligibility criteria can read the Notification & Apply. 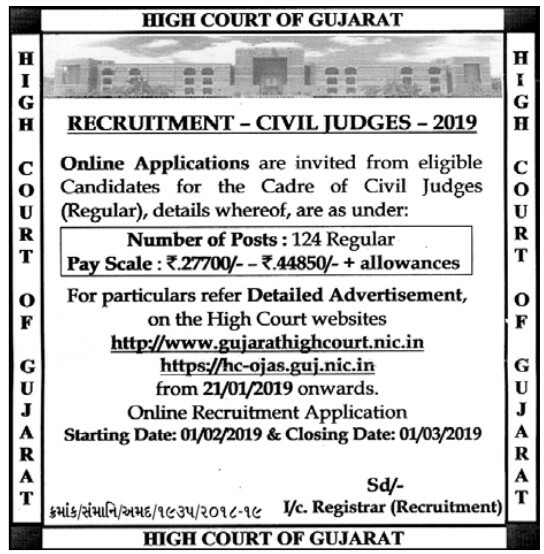 Interested and Eligible Candidates can apply online through https://hc-ojas.guj.nic.in before 01 March 2019 .